Don Manuel de Niz, also called Manuel de Nistrosa, son of Juan and Andrea Mireles, native of Grand Canaria, Canary Islands, Spain, was born about 1680 and died sometime before 1774, most likely at San Fernando de Béxar. He married Sebastiana de la Peña de Leon, daughter of Domingo de Leon and Gregoria de la Peña. She was born sometime between 1685 - 1688, and died January 21, 1774 in La Villa de San Fernando de Béxar. Manuel and his wife are listed as the Sixth Family on the list taken at Cuautitlán and their ages are given as 50 and 42 years respectively. They are making the voyage with their only daughter Josefa who is 19 years old. Josefa married Don Antonio Rodriguez, the oldest son of the widow, Maria Rodriguez Cabrera while at Cuautitlán and are listed as the Tenth Family. The De Niz Family is thus represented by the descendants of Antonio Rodriguez. 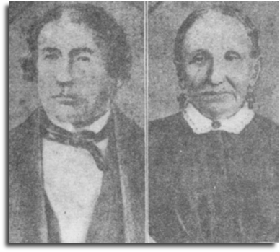 Antonio Rodriguez and Josefa de Niz were the parents of only one child, Prudencio, who married Polonia Curbelo. However, Prudencio and Polonia gave Antonio and his wife 11 grandchildren. Manuel Ignacio, one of the eleven, married Antonia Courbière, the daughter of Andrés Benito Courbière of St. Nisiere Parish, Leon, France and Maria Feliciana Durán, who’s father Pedro Duran was from Castile, Spain and who’s mother was Antonia Cortinas, the daughter of Juan Cortinas. Andrés had learned the Caddo, Tonkawa, and Wichita languages as a trader at Natchitoches. He came to the presido of San Antonio de Béxar in 1779 where he held the position of soldier-interpreter in the Presidial Company of Béxar. Manuel Ignacio’s son, Ambrosio Rodríguez was born in abt 1806 in La Villa de San Fernando de Béxar. He married Maria de Jesús Olivarri on January 16, 1828. Maria de Jesús, was the daughter of Jose Simon Olivarri and Guadalupe de Torres and the great grand daughter of Leonardo Hipolito de la Garza They were the parents of eight children. Their daughter Alice was the first wife of General John L. Bullis. José María Rodríguez, politician and long-time Webb county judge, was born in San Antonio de Béxar on October 29, 1829. As a child he witnessed the storming of the Alamo from a ranch southeast of San Antonio where his mother had taken the family when Antonio López de Santa Anna entered the town. He was tax assessor and collector for Bexar County and alderman for San Antonio in 1857-58. About 1861 he moved to Laredo as a schoolteacher. He married Feliz Benavides around 1861, she was the daughter of Basilio Benavides and Encarnación García. Basilio’s nephew was Santos Benavides who was the highest ranking Mexican-American in the Confederate Army during the Civil War. Judge Rodriguez had two children, Natalia and Ambrocio. 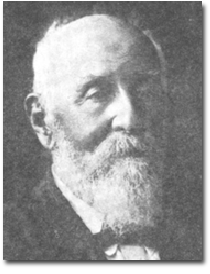 Rodríguez died in Laredo on February 22, 1913. His book Memoirs of Early Texas was published the year of his death.